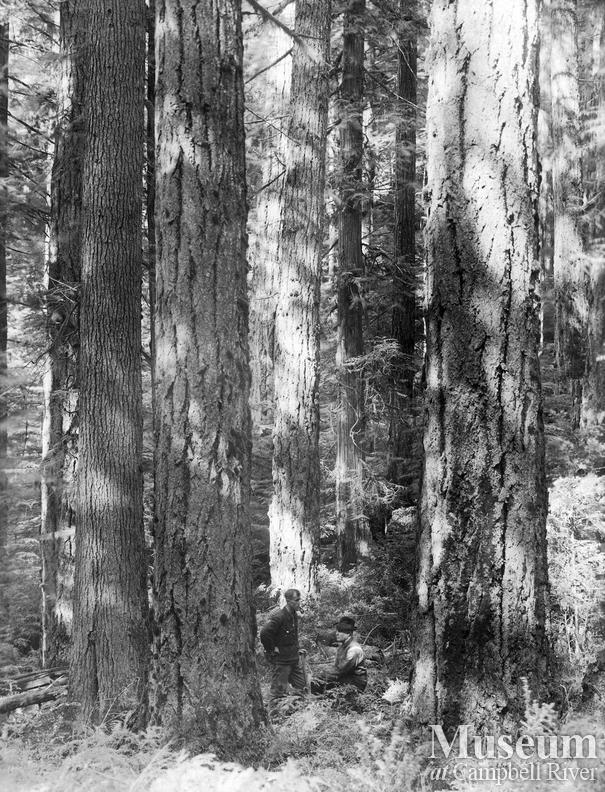 Stand of Fir and Hemlock timber on Surveyed Timber Limit 743, Redonda Island, 100 miles northwest of Vancouver, BC, about 10 chains south from northwest corner, at elevation of 250 feet. Medium sized timber standing on good logging ground. The timber on this limit is of medium size, 85.3% Fir, 13.1% Cedar and 1.6% Hemlock.